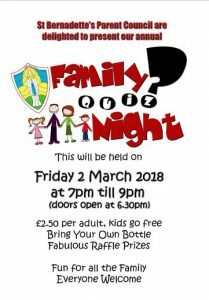 The Family Quiz night has been rescheduled to Friday 20th April. There shall be no revised letters or raffles issued as existing ones continue to be valid if you wish to purchase in advance. All tickets already purchased are still valid, however if you can no longer attend the revised date please get in touch with the fundraising team at stbernadettespcfundraising@gmail.com to arrange a full refund. Primary 7 created a shadow play to tell the story of Jesus’ life which was shown at Assembly this week. Well done P7! 200 Club – One Year on….. Please click on this link St Bernadette’s 200 club – one year on to read a Newsletter from our Parent Council re. St. Bernadette’s 200 Club. We are delighted to announce that, following a successful final interview on Monday 27th February, Mrs Savage has accepted the post of permanent Headteacher at St. Bernadette’s Primary School. We wish her every success. We are collecting Sainsbury’s Active Kids vouchers. Please either hand them into the school office or give them to your child. 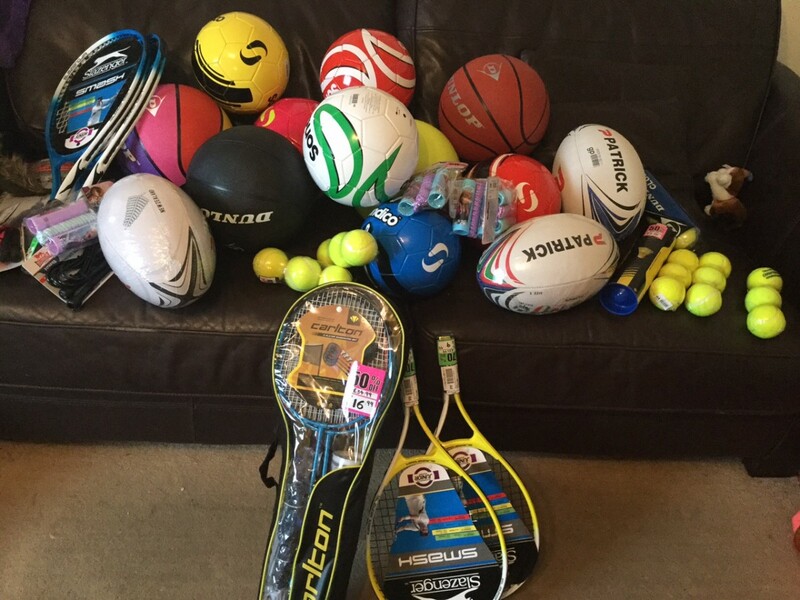 These usually provide additional items for the school playground which all children benefit from. Children who reach 5 years of age on or before 23rd August 2017 must commence primary education at the start of the school session in August 2017. Children whose fifth birthday falls on or between the 24th August 2017 and 28th February 2018 may commence primary education in August 2017. What to bring: Birth Certificate, Baptism Certificate and Proof of Address, e.g. recent Utility Bill. 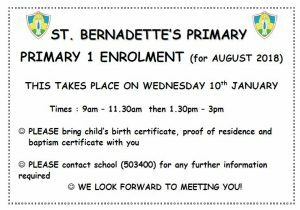 We look forward to welcoming you to St. Bernadette’s Primary School. All staff and pupils at St. Bernadette’s Primary School and Nursery would like to wish all families and friends a very Merry Christmas and a Happy Prosperous New Year. Please click on the below links to see our staff enjoying the holiday season! Thousands of kids will get their first smartphone this Christmas. When children are older they are more likely to STOP-&-THINK before sharing an unsafe image. The app SelfieCop can be of extra help for kids who need additional support. It encourages them to think-twice before taking or sharing risky photos. 1- Automatic anti-sexting alerts appear every time the child’s camera is activated. 2- Parents can be sent a copy of the child’s photos & videos to check them for safety. Huge thank you to everyone that supported Children in Need this year. We raised £572 and even got a mention on BBC Children in Need! Well done everyone! 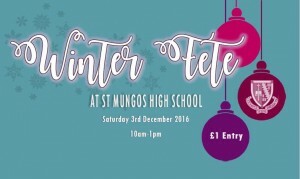 The probationer teachers at St Mungos RC High School are organising a Winter Fete to take place on the 3rd of December 201 from 10am until 1pm in the school Social Space. 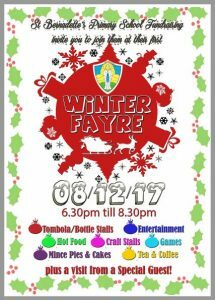 Entry at the door will be £1 for all ages. All Welcome. Are your child’s emergency contact details and medical information up to date? Please let the school office know of any changes. Could pupils please take a few minutes to take part in this survey https://www.surveymonkey.co.uk/r/PupilEnd for Mrs Cully’s dissertation. Thank you. We have applied for HWB accreditation and a team of validators will visit the school on Friday 17th June to assess the school. In advance of this, and to inform our School Improvement Plan for 2016/17, we would appreciate if you took the time to access this online survey, which takes 3 minutes (maximum) https://www.surveymonkey.co.uk/r/MXPKPBR. Pupil voice – how good is our School? Click here https://www.surveymonkey.co.uk/r/D5QL8LH to have your say. 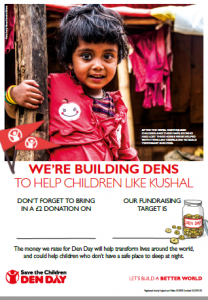 We are having a Den Day on 17th June. Any donations of old blankets, sheets and cardboard boxes shall be gratefully received. Please click the link below to watch tonight’s Confirmation taking place at St Francis Xavier’s Church in Larbert. Thanks to all the pupils that took part in the Day of Dance held at Larbert High on 17th March 2016. Primary 1 and 2 are organising a ‘Crazy Hair Day’ day on Friday 11th March as part of the fundraising for SCIAF. Children should come to school with crazy hair and bring a suggested donation of 50p. There will be prizes for children who have the craziest hair. Thank you for your continued support. Miss McNally, Miss McGuire and Miss Baker. P2/3 and P3 are organising a ‘Bedtime Story’ day for this Friday as part of the fundraising for SCIAF. 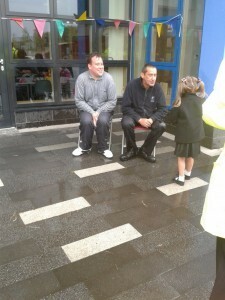 Children will be allowed to come to school dressed in their pyjamas. They should bring a favourite book with them and also a pillow or cuddly toy. They will take part in a variety of fun reading activities in class. The cost will be 50p per child. Thank you for your continued support. Check out our new ‘Useful Education Websites’ page. Please click on this link : Optimise_FlyerFinal 07.1.16 to see invite to meet Braveheart Health Monitors at St. Bernadette’s Primary School to be held on Monday 11th January and Thursday 14th January. 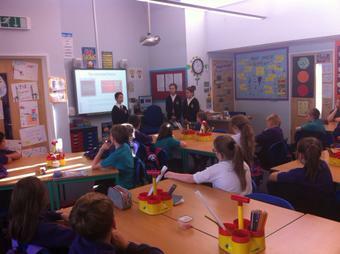 Webhelp in Larbert recently ran a competition in local primary schools for pupils to design their Christmas Card. 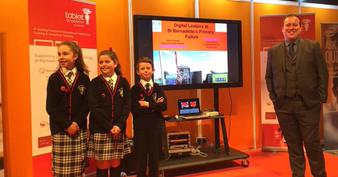 We are delighted to announce that one of our pupils won and another came runner up! Many thanks to the Parent Council for buying these fabulous toys for the playground. Huge thank you to all pupils who raised £340.66 for Children in Need by wearing their PJ’s to school! I am currently evaluating how effectively we are currently using digital technologies at St Bernadette’s to support learning in the classroom and at home. Teaching children how to use Digital Technologies effectively as part of their learning is essential in equipping them with the skills and knowledge required to work effectively in the 21st Century. I would be extremely grateful if you would please take a couple of minutes to fill out a quick questionnaire about how well we are teaching the use of Digital Technologies at St Bernadette’s and providing us with feedback on how we can improve. Responses will be collated and used to inform an action plan on Tuesday 10th November 2015. Parent Consultations letter added to the letters page. Please click here to download information about a Catholic School Parent Assembly on 3rd October 2015. Staff photographs and information have been added today. There have been lots of updates on our website tonight. We are currently updating all areas of our website. Please check back soon. 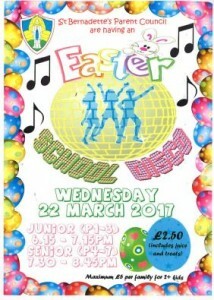 Please click on the link below to see details of the Short & Shades School Disco being held next week. Official Oliver Photographs now available to view using the link below. Order forms going out soon. Please note that the quality of the photographs are deliberately low quality to avoid copyright infringement. After a very successful season, a few of our players are moving onto pro-youth teams this summer. This has opened up a number of spaces in the 2005 set-up. Anyone wishing to bring their son along for training sessions and a trial should contact our Head Coach Aarron via the Gairdoch United FC 2005 facebook page. We have a number of friendlies coming up in June! Thursday’s 6pm to 7pm at Little Kerse Grangemouth. P7 parents – Please click here to download a letter from Mrs Farley regarding the transition days next week. Please click on the link below to read the Newsletter from the Parent Council regarding the Summer Fete. Please click on the link below to read a Newsletter from Parent Council. Scotland’s national service “Respect Me” are offering free practical sessions this week for parents and carers in the Falkirk Council area about social media, looking at how to set and manage profiles and privacy settings to help ensure that children and young people are safe online. There will be two session from which to choose, one on Wednesday 25 March and one on Thursday 26 March. Both will be in room 12 of Camelon Education Centre from 5.30pm to 7.30pm. Please click on the link below to view info about an Easter Event being held at Forth Valley Royal on Saturday 3rd April. The Larbert, Stenhousemuir and Torwood Community Council is working with Foundation Scotland to establish a local community benefit fund linked to the Tod Hill Wind Farm. The Fund will be a community resource, designed to support community-led activity that improves the area as a place to live, work and visit. At least £24,000 per annum will be available to the area for the operating lifetime of the wind farm. To maximise this opportunity, Community Enterprise has been appointed to design and facilitate a community consultation and planning process and produce a Community Plan. The Plan will help inform the Tod Hill Community Fund’s purpose and priorities but the Fund is not substantive enough to deliver everything that will be included in the Plan. So as well as being an opportunity for an exciting community conversation, the Plan can be a great resource in our collective efforts to raise further funds for critical community projects. Making Larbert, Stenhousemuir and Torwood a better place to live, work or visit. Come to one of our open meetings and have your say on the good things about Larbert, Stenhousemuir and Torwood and how we can work together to make them better. Shown above is the details of the annual Parents’ Information Session on the Budget. Gary Greenhorn, the Joint Acting Director, will speak about the education budget plans for next year and you will be able to ask questions. Please let us know if you plan to come to this event – e-mail education.communications@falkirk.gov.uk. Please let them know if you have access or communication needs. For your interest, here is a link to the pdf of the Equal Parents ‘user guide’ to rights and obligations between schools and non-resident parents. 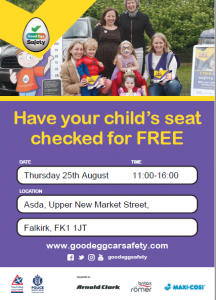 The guide is a free download from the FNF Scotland website: http://www.fnfscotland.org.uk/news/2015/1/12/new-guide-to-getting-school-information.html. Please click on the link below to view the NPFS Winter Newsletter. Please click on the link below to view the SPTC February newsletter – Backchat. Tomorrow, 6th February 2015 we are raising money for the British Heart Foundation. Wear something red and bring a donation please (minimum 50p). 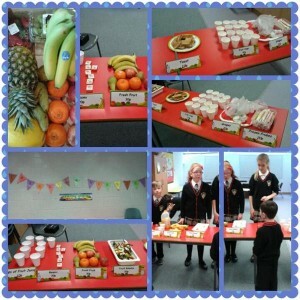 Remember Healthy Tuck Shop is on every Friday morning. 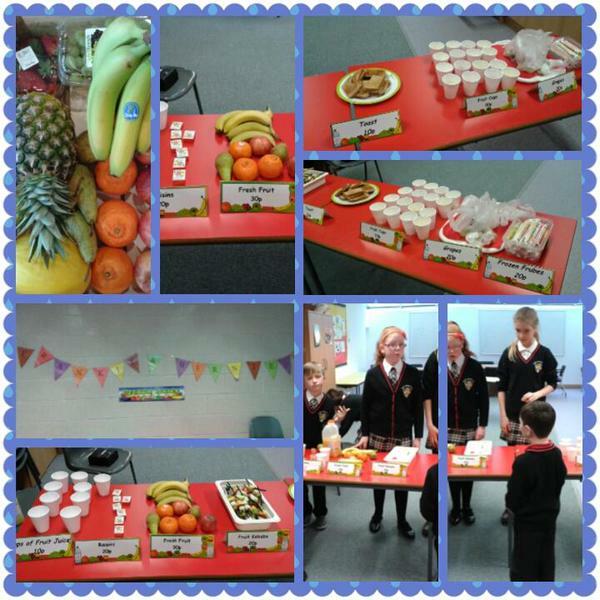 Delicious healthy snacks are available from 10p – 30p. Please click on the link below to download the letter sent out on Monday regarding Focus Week Homework. School will re-open after the October break on Monday 20th October at 9am. Have a great break everyone! 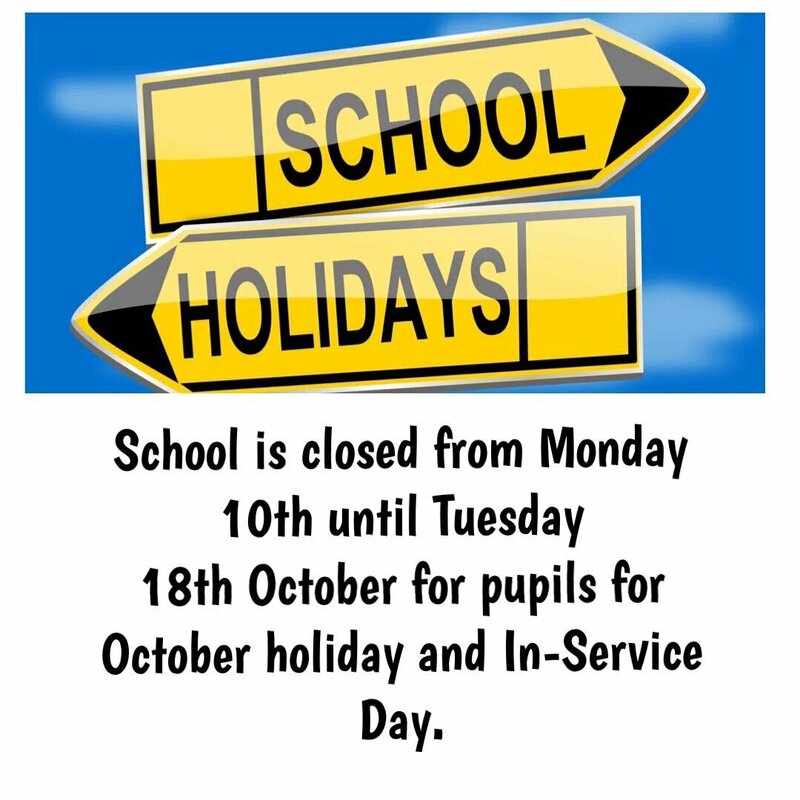 Just a reminder : School will be closed to pupils Thursday 18th September and Friday 19th September – In Service Training Days. There will be a Family Social Night being held at the Plough Hotel on 27th September at 6.30pm – 10pm. 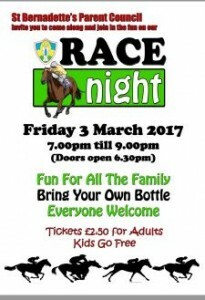 Tickets are £5 per adult and £2 per child. Contact the school for tickets. There will also be 5pm mass at St. Bernadette’s where there will be a presentation to Canon Urquhart. All welcome to both. 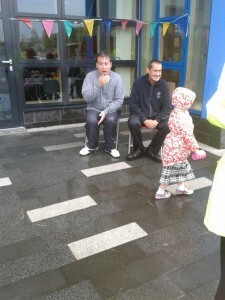 Well Done to Mr Cloherty & Mr Clark – the children in the school and nursery paid 50p a bucket to soak them and we raised a FANTASTIC £100 for MND. Brrrrrrrr…. Tempest Photography will be in school tomorrow (28.08.14) between 9am and 3pm to take individual and family group photographs. We hope you all have had a lovely relaxing summer break, all staff at St. Bernadette’s are looking forward to welcoming all pupils to school on Wednesday 20th August 2014.